Hello lovely ladies! Today I would like to review one of my favourite highlighters, MAC Mineralized Skinfinish in the shade 'Gold Deposit'. I used to use the Soft and Gentle MSF which was one of my first purchases from MAC and I absolutely love it. 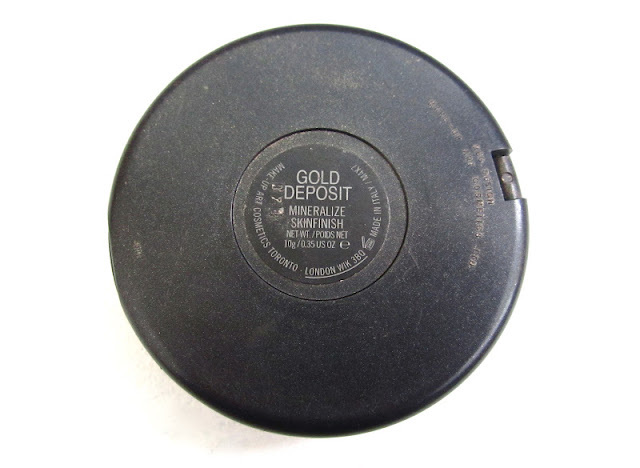 However, as I was almost hitting pan (two years later by the way), I decided to give Gold Deposit a whirl instead. I got this as a christmas present from my lovely boyfriend last year after months of eyeing it up and have been loving it ever since. Aside from limited edition collections, Gold Deposit and Soft and Gentle are the only two permanent MSFs that MAC have to to offer. I personally think they need to expand their range as they are definitely one of my favourite products from the brand. If you don't know what a mineralise skin finish is, it is basically a multi-purpose product that is mainly used for highlighting. However, they can also be used as a blush or eyeshadow depending on the colour you get. So why do I love them so much? Well firstly I have to mention how pretty they are, I mean who couldn't love them? Just look how beautiful it looks in the pan. All of the MSFs have a beautiful veining effect through them meaning they are all unique and not one looks exactly the same as another. Pretty cool ey? As well as them looking pretty, they are amazingly soft and insanely pigmented. As you can see in the photo above, with one swipe of my finger I get an incredible colour pay-off. Gold Deposit is a gorgeous bronze colour whereas Soft and Gentle is a golden champagne shade. Depending on your skin type, you can pick the one to suit you. 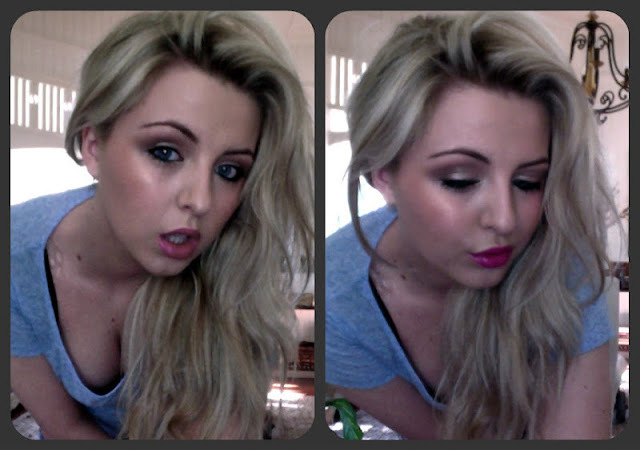 I personally love a bronzed look and always apply bronzer all over my face when doing my makeup. I find Golden Deposit works really well over bronzer to give my skin that healthy glow. 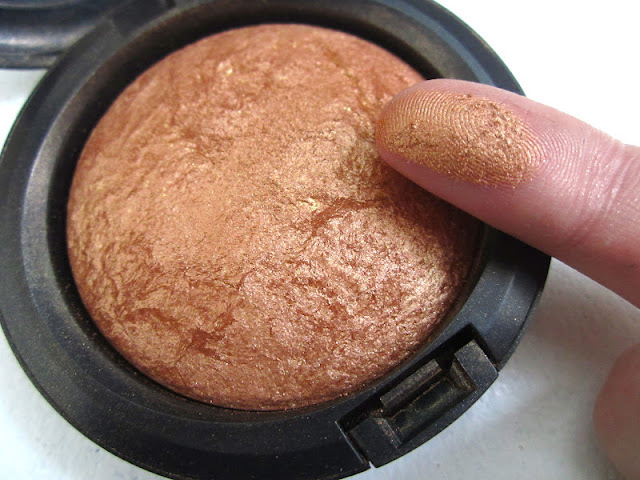 I only need to lightly dab my brush in this and sweep it across the top of my cheekbones to get the desired 'glowy' effect. If you don't like the bronzed look, I would 100% recommend Soft and Gentle as it will look amazing with fair, 'English Rose' type skin. Moving on to the bad part, the price. As with anything from MAC, it isn't going to be cheap. These cost £21.50 and can be found here on the MAC website. Although this is a lot of money for a highlighter, I really believe you get what you pay for. For me, this price is justified because I know how amazing the quality is and how long it will last. As I said earlier, my Soft and Gentle version lasted me 2 years with regular use before I completely hit pan. You get a large 10g of product in the pan and as they are so pigmented, you only need the slightest amount each time you use it. Overall, I couldn't recommend these more if you are looking for the perfect highlighter. I am wearing it in the pictures above and think it adds a lovely polished finish to the rest of my makeup. 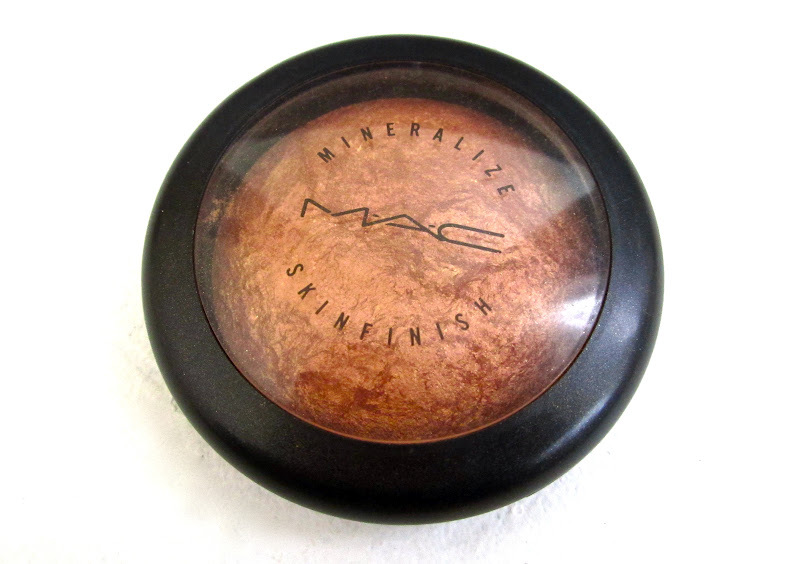 Have you tried the MAC Mineralize Skinfinishes? Whats your favourite highlighter? I'd also like to quickly say hello to my new followers. It only seems five minutes ago I hit a thousand so I just want to let you all know I really appreciate all of your lovely comments and support. Its very endearing and uplifting. You're looking gorgeous in that photo and this highlighter looks amazing! Eep, Kayleigh your persuasive writing style is massively tipping me over the edge!! I've been lusting over the Soft&Gentle for AGES, I think the Gold Deposit might be a bit too strong for my pale Caspar face, haha. Looks lovely on you, I've been looking for a new highlighter and recently purchased the Benefit's sunbeam but i'm seriously thinking of purchasing this one too, I think my skin works better with a powder highlighter than a liquid form. Great post and gorgeous pictures.. I got Gold deposit last year and I have a love/hate relationship with it due to the glitter fallout sometimes I think its too much but othertimes I love it. It is definately worth £21.50 as it will last me a long time as I dont have to use so much due to the pigmentation. So pretty! I honestly wouldn't have given this mineralized skinfinish a second glance, but it looks so nice on! I absolutely love my Soft and Gentle, though! I have never tried either of these from mac before! But this one looks gorgeous on you! And the colour in the pan is beautiful! I need to go check these out at my mac counter! It looks like such a dark colour in the packaging and I would have never have guessed that it would be so flattering when you wear it. Great review! this is gorgeous, im lucky my boyfriend gets discount in mac so i'll deffo be buying. which shades do you have on your eyes and how did you do them??? pleeease i need to know hehe x stunner!